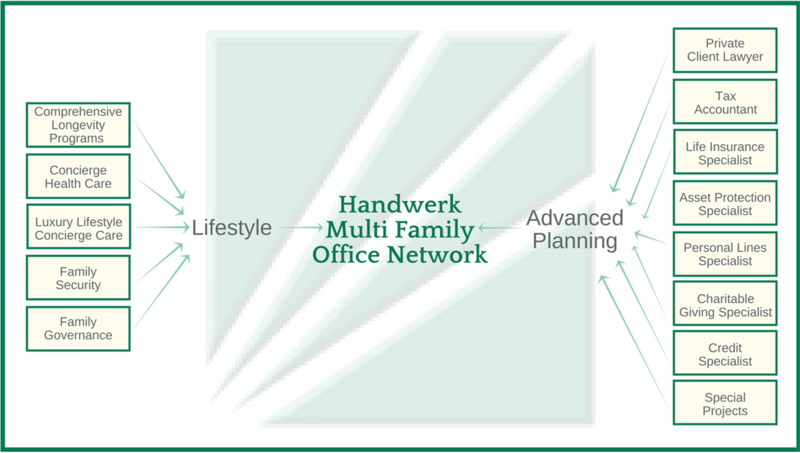 Handwerk Multi Family Office offers affluent families a holistic approach to wealth. Our process is multi-dimensional and extends well beyond investing in order to uncover opportunities and risks. Unlike financial planners or wealth managers, we go beyond investing to offer a comprehensive suite of services in addition to implementing the ideas, suggestions and strategies of best-in-class consultants. HMFO acts as the Personal CFO to a select few families, assisting them to help grow and protect their wealth. We focus on affluent families with $2-10 million in investable assets, and our goal is to make a significant difference. Meet and connect with Derrick Handwerk, Personal CFO and Managing Partner for Handwerk Multi Family Office.